Let your wild look take you on an adventure of a lifetime wearing the Belgium National Day Raf Simons Replicant Ozweego from adidas® by Raf Simons! Leather upper with mesh details. Black, yellow and red color scheme. Cut-out details at the vamp. 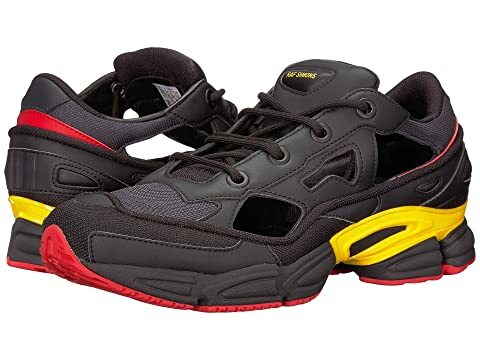 We can't currently find any similar items for the Belgium National Day Raf Simons Replicant Ozweego by adidas by Raf Simons. Sorry! These shoes are particularly plushy on the heel and very very comfortable. I think it is to be expected, but they are made in china.